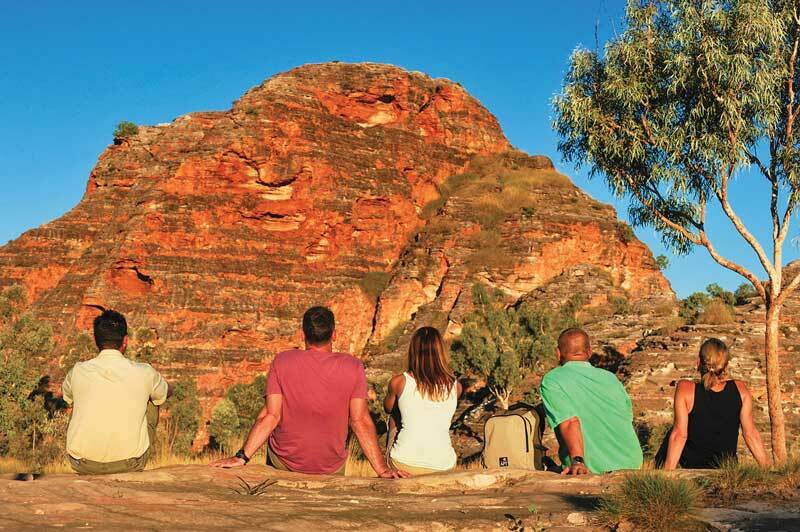 Covering more than 420,000 square kms and three times the size of England, fiery red landscapes and emerald flora are set against cobalt blue skies in the Kimberley. Here, towering rock faces send water tumbling into crystal blue seas and secluded red-rock gorges hide ancient Aboriginal art, welcoming waterholes and palm-filled oases. 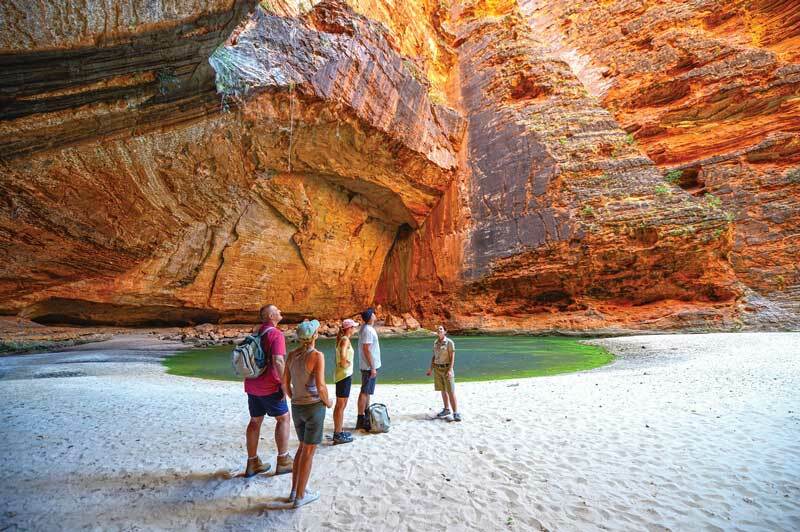 APT has been revealing the secrets of the Kimberley to travellers for more than 40 years. 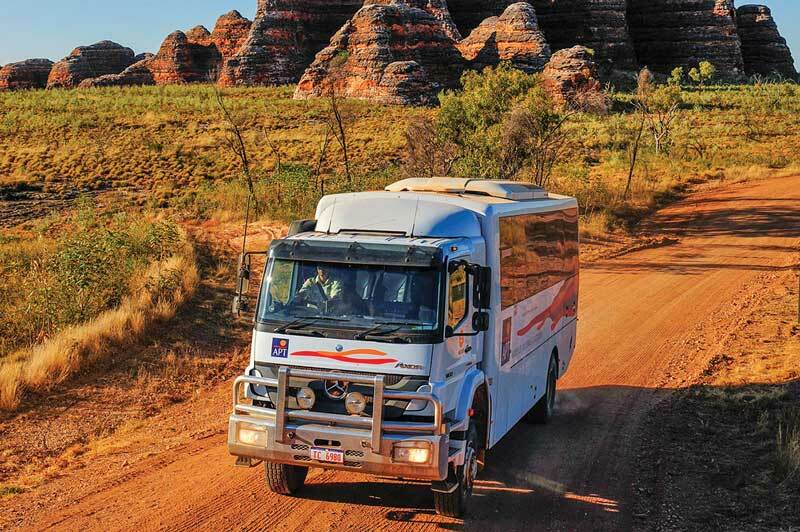 Their expert Driver-Guides are the most knowledgeable in the Kimberley and their experience is invaluable. Taking you through some of the world’s most remote terrain in custom-designed 4WDs. With groups of no more than 20 people guaranteed on all 4WD land adventures, you are assured an intimate and personalised experience. 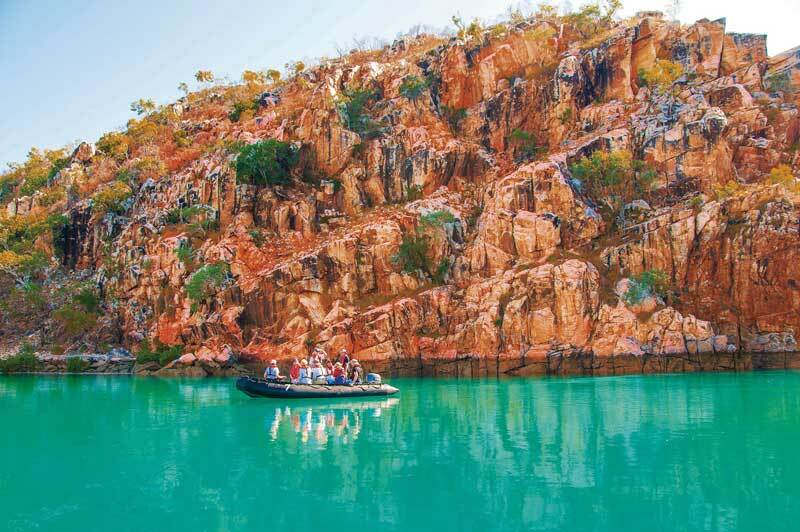 With local Indigenous guides joining you where possible on select itineraries, you will see the Kimberley through the eyes of its traditional custodians and learn about its fascinating history, fauna and flora. 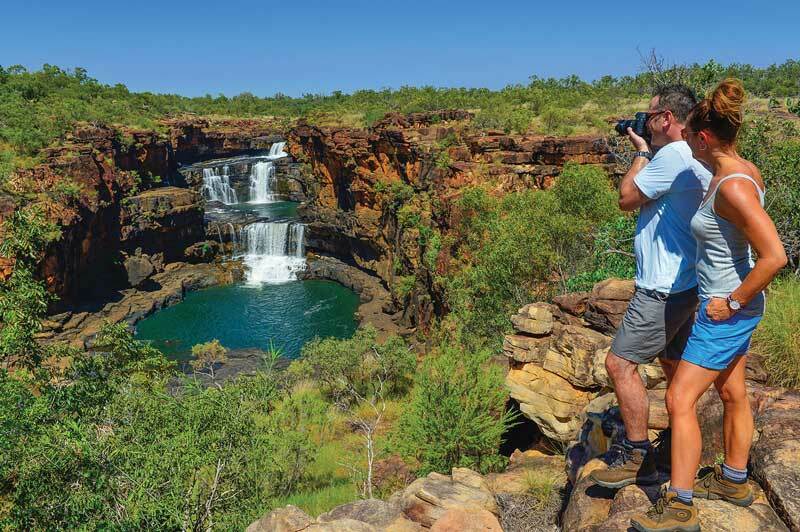 For the ultimate adventure, combine your 4WD land journey with a cruise of the Kimberley’s coast. These expedition cruises are guided by an outstanding onboard Expedition Team, hand-picked experts and specialists in their field, such as naturalists, historians and ecologists. APT continues its association with the Kimberley Foundation Australia, supporting scientific rock art research that provides insight into one of the oldest cultures in the world. Camp Hosts and expert Driver- Guides receive training in order to remain up-to-date with new findings. APT has built unique partnerships with the traditional landowners and created a network of exclusive wilderness lodges that offer a haven of comfort and a touch of luxury in the wilderness with superb access to the Kimberley’s hidden gems. ”Travelling with APT is truly the best way to see some of the most amazing scenery in the world. You learn so much from their incredibly knowledgeable guides.” - James Mallett, Travel Associates Balwyn, VIC. If a 4WD Adventure through the magnificent Kimberley is right up your alley, book a trip with APT through your Travel Associates adviser.